The Parents Program fund was created by WWU families to provide much needed support for career services, outreach programs, and events that impact students, alumni, parents, and the greater community. Our goal is to help students with college life from beginning to end, starting with our orientation sessions and finishing with our quarterly networking events and career fairs through the career services center. 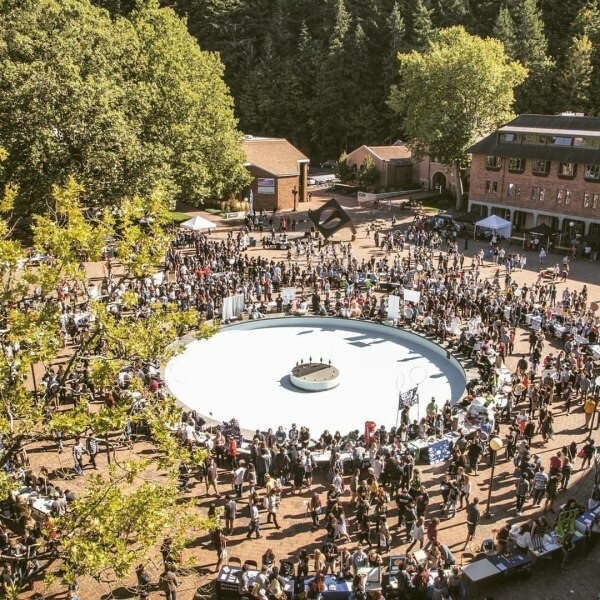 We build leadership opportunities and community through events such as Fall Family Weekend and WWU Alumni Weekend. Gifts to the Parents Program ensure current student and alumni success. Your gift to the Parents Program also helps us keep in touch with WWU families through newsletters, family weekends and other events to help keep parents and families engaged and informed. WWU’s Counseling Center to help students “choose to flourish” through stress management workshops and facilitated support groups for students from all backgrounds. Academic advising, tutoring and career coaching to help students choose a major that suits their talents and interests, and help them graduate on-time. Career preparation activities such as job fairs, graduate school fairs, employer visits and internship connections. Leadership activities to build the soft skills that are so attractive to employers. Parent outreach and activities such as Fall Family Weekend to keep you involved and connected. You can also choose to earmark your gift for your child’s major or favorite team, club or program on campus. Last year 1320 Western parents donated $165,000. Thank you! Your gift in addition to the many other ways you have invested in your child’s education is truly transformational. If every family gave just $50 we’d have nearly one million dollars to dedicate to student success! State and tuition dollars do A LOT but they don’t do it all. It’s because of WWU alumni, parents and friends that Western attracts national attention and investment, such as the US News and World Report’s Best in the West ranking, the national accreditation of our Engineering Program, the launch of Western’s first-ever clinical doctorate in Audiology, Boeing’s support of WWU’s Cyber Range lab and $1 million in funding for student success initiatives from the Washington State Legislature. The Western Fund is the University’s general unrestricted fund that the President uses as critical needs arise, and to further the overarching University mission. You can also choose to support the WWU college, department, program, team, club or scholarship that you or your Western student is passionate about. Please give today or call (360) 650-3027 to make a gift over the phone or ask any questions you might have!